DSH Electrical are Middlewich based electricians, introduced to Pedleyonline through a recommendation from one of our existing customers. DSH not being local to us was not a problem and though regular phone calls and e-mail communications we were able to produce a website to be proud of. High quality, unique, relevant on-page content with keywords and phrases incorporated throughout and optimised for the local Middlewich / Cheshire area. 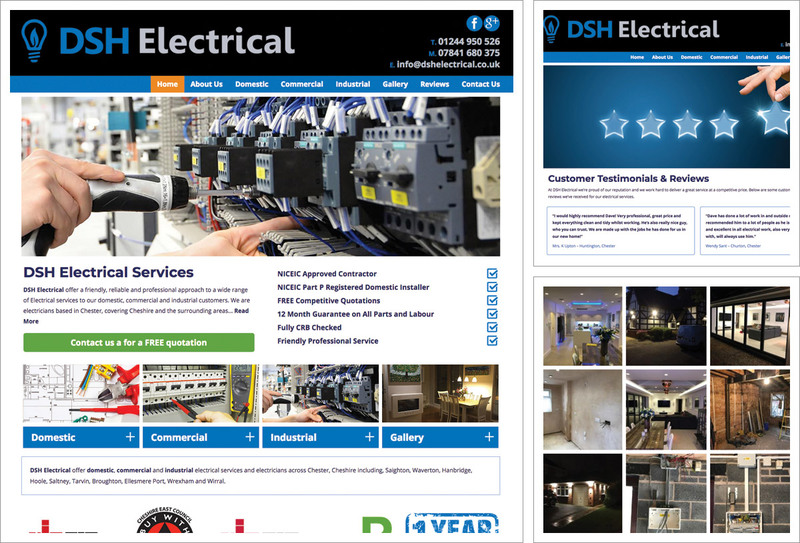 The website is responsive / mobile friendly and has many of the components you would expect to see on an electricians site. Easy to navigate on all devices due to the responsive design, on-message and a clear call to action on all pages.